The first step in formulating a strategy to build relationships and reach out to those able to amplify our messages is to carry out a digital influencer and stakeholder mapping. This research identifies target audiences and the key people to influence. We used ZN methodology to identify the most influential people inside the Brussels bubble, checking their online profile and position on topics. Digital mapping also includes establishing an overall overview of the online conversation about relevant issues and topics, an analysis of the digital landscape (influencers and their relationships to one another), research and analysis of key organisations and how they interact with campaign material. With the mapping in place, we worked on deciding the most effective ways to reach and engage with the target audience. We defined the most appropriate creative approach for the relevant social media channels and developed a narrative to drive engagement, before, during and after the event. The next step is putting together a social media toolbox. This starts from a story menu and a message matrix, which classifies editorial pillars for developing content. As supporting assets and shareable visuals are developed they are added to a crib sheet with social media posts for each channel, that are ready to be posted or scheduled. Relevant accounts, handles, hashtags, web addresses etc. are also added to the toolbox. We review the event landing page and make quick fixes to design and structure to encourage better engagement with the audience and then we are ready to launch the process of social media activation. This needs to start well before the event to build presence and anticipation. 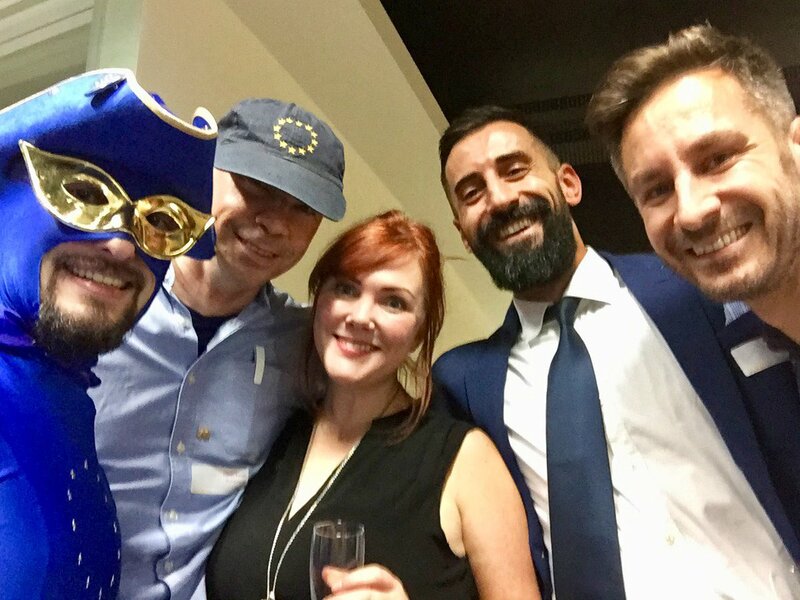 And, in the case of #EUinfluencer, it worked extremely well. Our 360° video showed the venue at the EURACTIV headquarters was packed out, but we made sure those following the event online in Brussels and beyond were just as involved. The ZN photographer sent photos directly to the ZN team, so we could tweet and post live from the event with professional photos taken just minutes before. Our designer was also on site, enhancing photos and working from pre-prepared templates to create photo-quotes with what the team noted the speakers saying. A Twitter wall showed a live feed of all tweets using our #EUinfluencer hashtag. It was not only being enthusiastically used by all guests, speakers, and members of EURACTIV and ZN, but also by many following the event on Twitter. In fact, so many that #EUinfluencer was trending as Number 1 in Belgium during the event, even ahead of the European Summit going on next door. When ZN digitally activates an event, people are not only keen to attend, but eager to follow what’s happening online. The networking end to the event was just as digital. Members of the audience used ZN’s event props (3D-hashtag, twitter frame, roll-up banner and even our “#OneStepAhead chocolate bars) to take photos, while the digital team were busy generating Hyperlapses, Boomerangs and recording video interviews with digital influencers, proudly wearing their hashtag lapel pins. These digital visual assets mean the event can live on long after it is over and the invitations and flyers discarded. ZN doesn’t only manage your social media channels during your events, but puts 100% passion into ensuring high quality content and engagement with your followers on your channels the rest of the year.